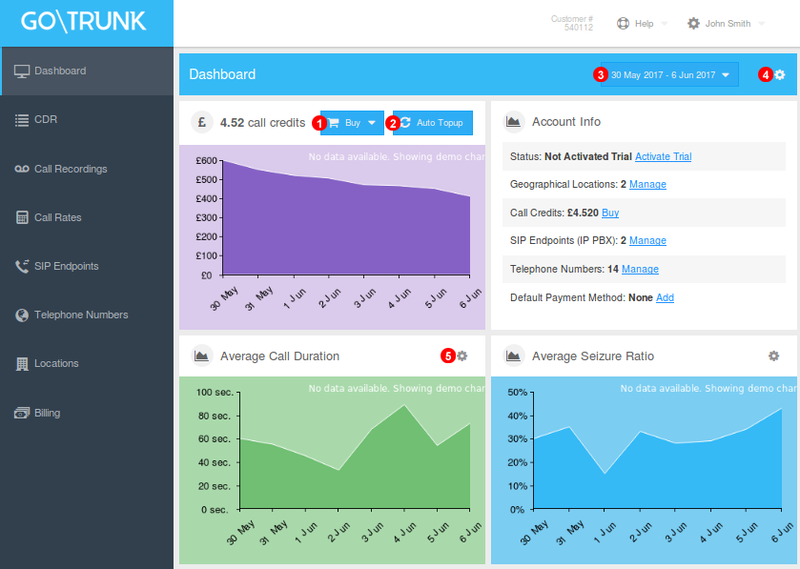 Provides an Summary of all activity on account and the top up of credit for outgoing calls. NOTE: Demo Data will display on Graphs until 7 days of Data has been accumulated. Click to Purchase additional Credit for Calls any selections made will be placed in basket for checkout. Select Time Interval to display on Graphs. To add additional or previously removed Graphs just click and select desired options. All Graphs can be removed and later added to Dashboard except for Credit/Payment Panel.